MCC Child Development Center is a multi-age program for children as early as 2 years 10 months of age through 5 ½ years. Our center is located on the Manchester Community College campus and we serve children whose families attend or are faculty of MCC, as well as children from our community. Located in our space is also a Head Start program. Both MCC Child Development Center and the Head Start program are “lab schools” providing quality observation experiences for the students of MCC in our Early Childhood Education and Education programs. Our spaces provide rich classroom environments where children are encouraged to explore their environment through hands-on activities. 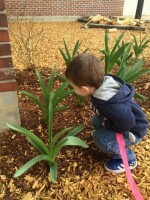 This is why we made the decision to transform our playground to an outdoor classroom. 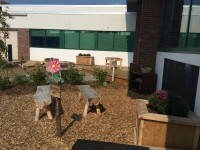 The development of our outdoor classroom was a collaboration of key people. The following individuals were a big part of the construction of our outdoor classroom: MCC Child Development staff, families and Head Start families, MCC faculty, MCC Environmental Science, Construction and ECE students, UNH Cooperative Extension volunteers, QSC Remodeling, and the MCC Maintenance Department. 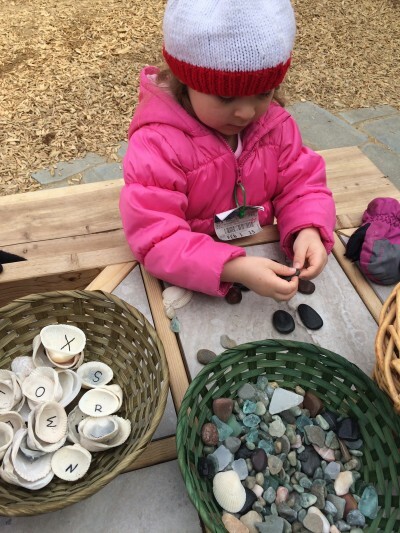 Since developing our outdoor classroom, the space has been a magical place for the children to explore. 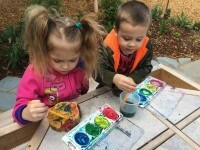 From exploring sounds in our music area to painting with mud in our nature art area, our outdoor classroom consistently provides opportunities for children to gain new knowledge about the world around them. 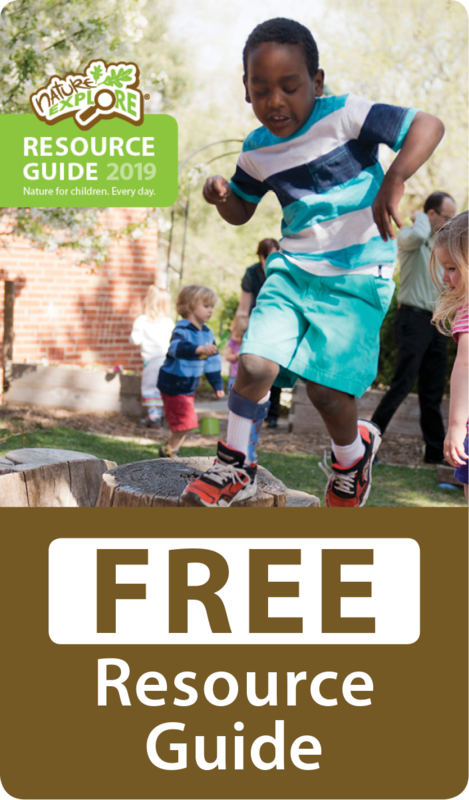 Our outdoor classroom has also given the MCC college students and families an appreciation of how important nature can be in the lives of children. 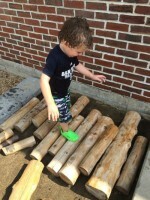 Each day, the children have various opportunities to explore our outdoor classroom. Our space was carefully designed to incorporate plantings that were sure to bloom through our New England seasons and the children take part in caring for these. 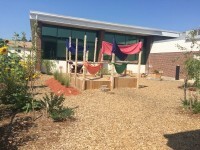 Stumps, tree cookies, logs, pinecones, gourds and grasses are just a few materials that enhance our outdoor classroom. The children also enjoy observing the growth on our fruit trees and blueberry bushes and reap the benefits of tasting. We are excited to provide these hands-on experiences for our children, families and college students. We have already observed a deeper appreciation for the world around us since completing our transformation and look forward to sharing the wonders our outdoor classroom brings us each day.